Golly, what a week. We launched our www.facebook.com/stromberg97 Monster Give-away expecting a few more Likes on our Facebook page, but didn’t honestly expect the avalanche of Likes we saw last week. Thanks, thanks and thanks again to everyone who took the time to Like us. 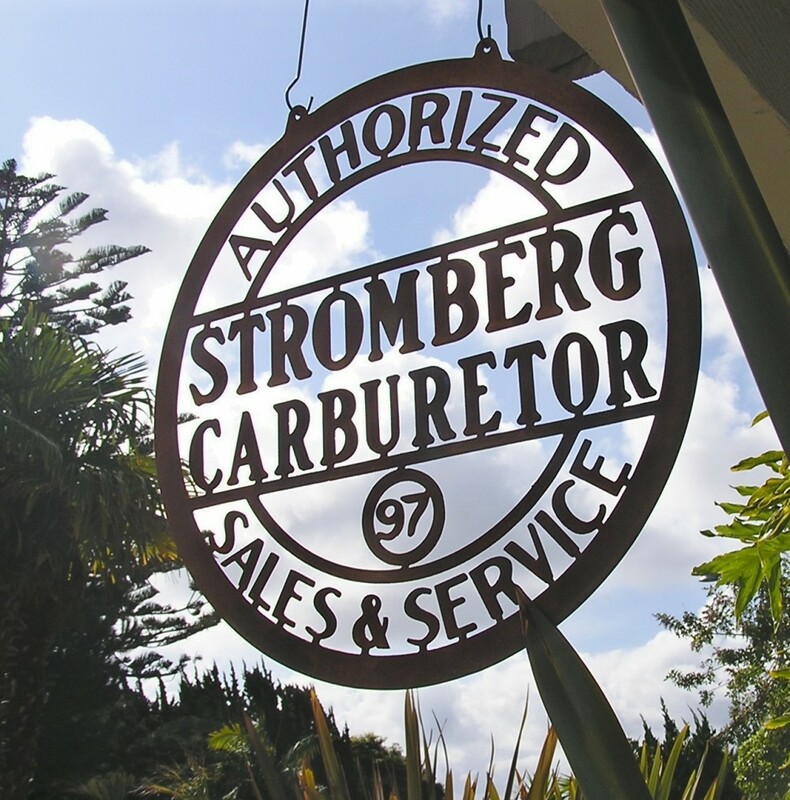 Some are folks we know, but the vast majority are new Stromberg friends from all over the world, and that’s what we’re especially pleased about. According to the FB Likes clicker, we’re heading for 500 with a vengeance. Some prizes have already been mailed out. But there’s a stack more to be won. Here are the latest prize winners. If you’re these guys, make contact with a shipping address and we’ll get your swag off to you soon! Eagle eyed readers will have noticed that the 401-450 winner was number 211. That’s because Facebook does some weird stuff on the Likes counter. They say we have 492 Likes. But we’ve faithfully listed every single one and we make it 399. So we drew the last one from the full 0-399 to make it fair. So, we’re closing in on 500 Likes this week. 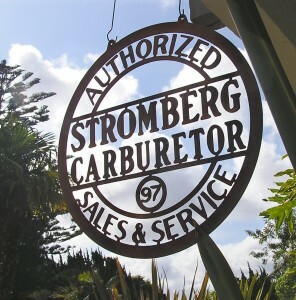 That’s a cool Stromberg 97 heavy metal rusty sign (see above) ready to be shipped to the lucky draw winner. 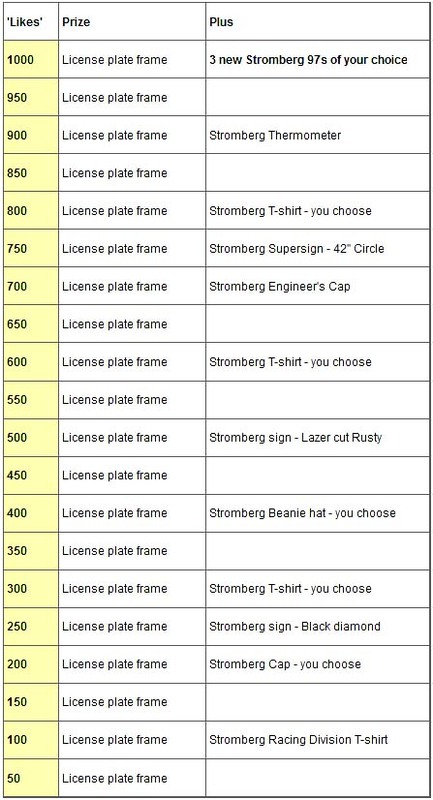 Plus of course, another Stromberg License Plate Frame for the 450-500 group. Thanks again, especially for all the messages of goodwill and kind words about our carbs, linkages and other stuff. When a guy sends you pictures of his car build and you see carpet in the garage, you know he’s serious about quality finish and detail. Jim Johnson falls into that category. 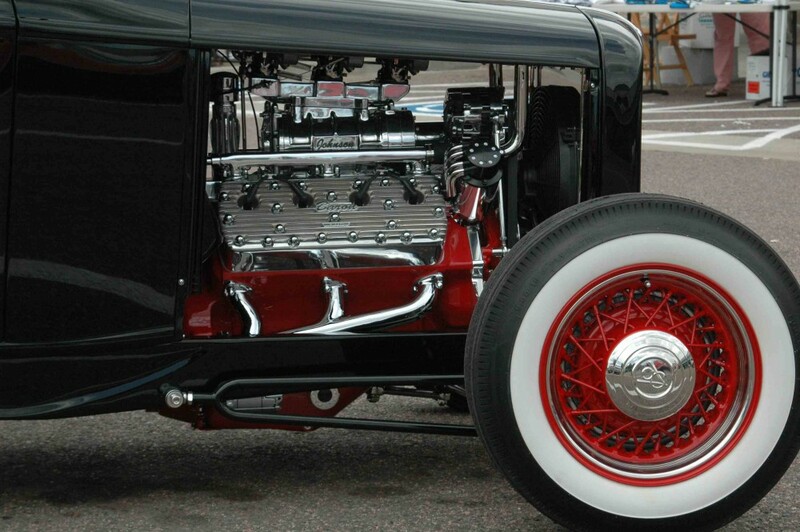 And once you check out the pictures of his cool black ’32 roadster, I reckon you’ll agree that car, guy and garage all fit together pretty well. Jim’s the kinda guy who likes to do all his own work. And do it right. 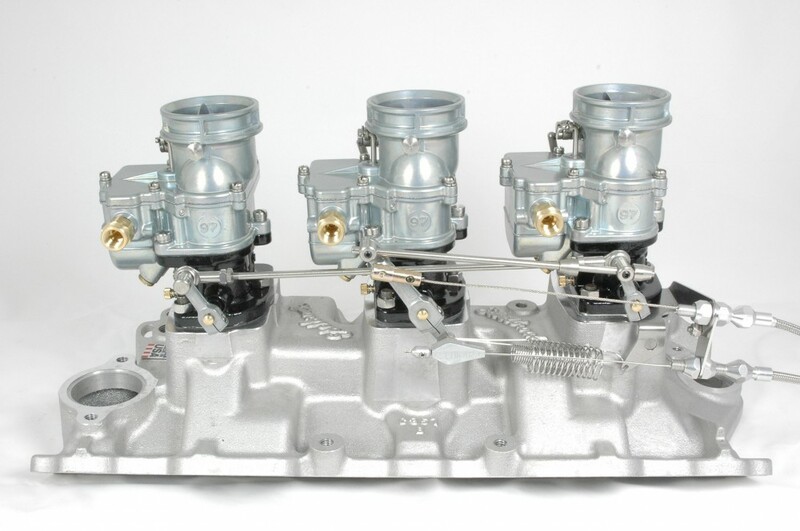 Take the flathead motor, for example. 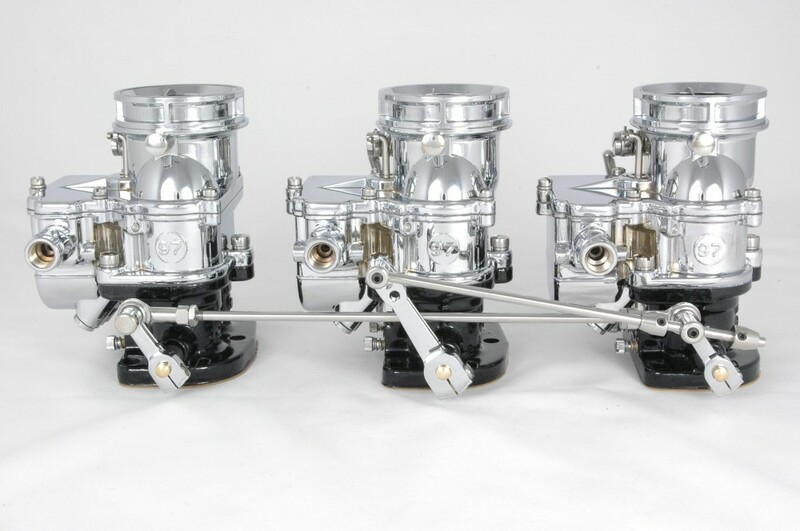 He started with serious investment in a French flathead block, then took it to the next stage, not just with weeks of grinding, paint and polish, but his own take on full-flow oiling, modern water pump, Baron Racing heads and a Stromberg 97-equipped blower. Black on black with classic red trim, whitewalls on red wires, the right touch of polish and chrome – this is a very classy hot rod. Enjoy the pics. And thanks to Jim for sharing it with us.